Bringing back a retro look for vintage style clothing, hats and other apparel. The logo is applied to the interior of John Deere products and sold in retail stores and online. This John Deere logo has ornate flourishes and details that make it truly stand out amongst competitors. By maintaining a simple, monochrome color palette this logo isn’t too overwhelming. 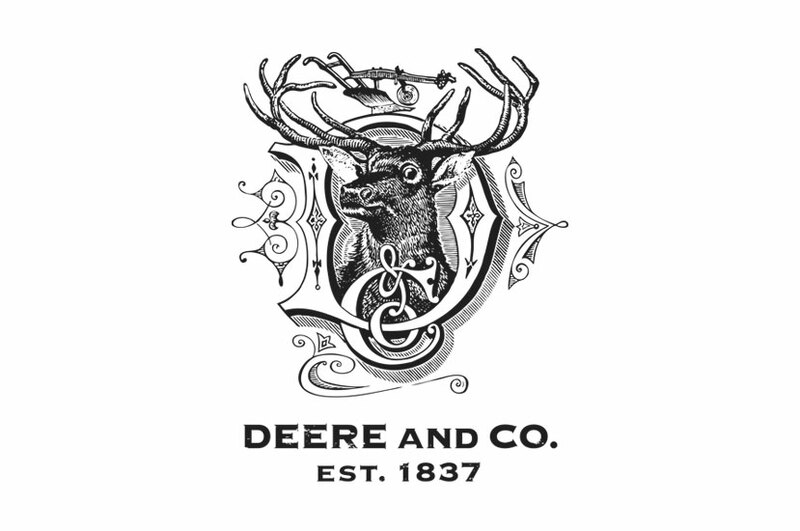 The sketch illustrator of the deer coming through the monogram “D” is both whimsical and quirky, but doesn’t stray from John Deere’s classic branding. We sought to create a logo that felt both old and new, modern and classic.